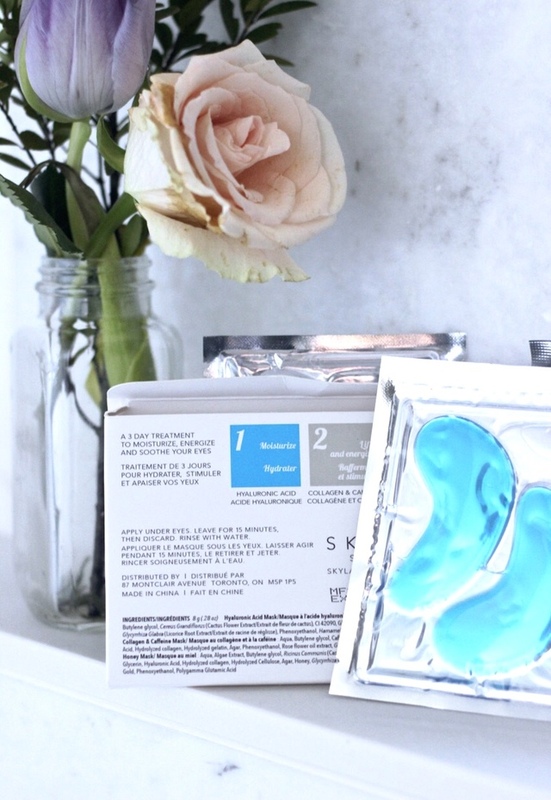 What is Hyaluronic Acid and why is it all the rage right now? Is it just me or is this ingredient popping up everywhere and in just about every product as of late. I was recently introduced to the ingredient and now I can't seem to find a company that isn't promoting the benefits of it. Since I really had no idea what's going on regards to H.A., I wanted to break it down plain and simple so we all can figure out just what the heck it does. Yes. 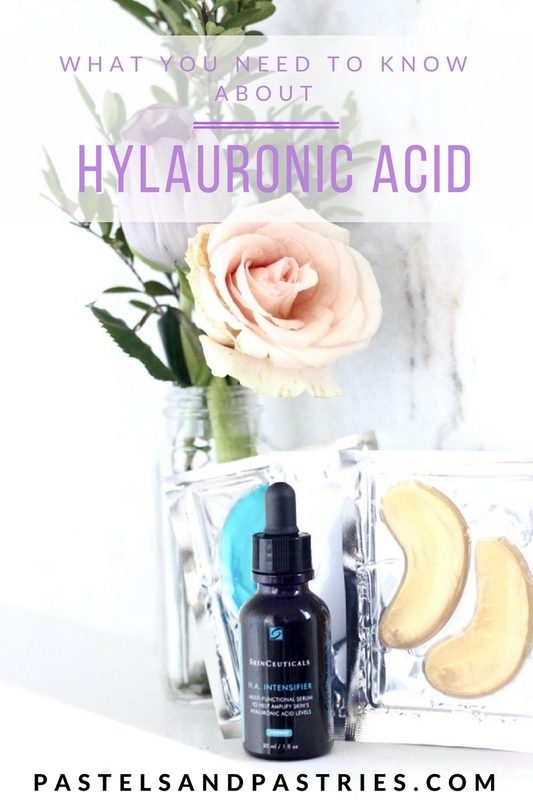 Hyaluronic Acid is a naturally occurring substance in our bodies. It's not even an acid, it's actually a sugar. But, over time, aka as we age, our bodies produce less and less of it which means more wrinkles and cartilage destruction. Boo. But the good news is that we can at least apply it topically to get that plumpness back. It binds and locks in moisture, so it has a firming effect on the skin that tightens tones and plumps. It also holds 1,000 times its weight in water, so that's where we get the supple plumpness from. Can I get it from other substances? Yes-- magnesium rich foods like dark greens, nuts, seeds, bananas and dark chocolate can all stimulate its production. You can also inject it (i.e. fillers) to regain some of your lost Hyaluronic acids. Yes or no-- What's the verdict? Applying it topically will moisturize and hydrate your skin and leave your skin looking plump and firm. Injecting it is the only way to actually increase your levels on HA, though. Don't know about you but I'm fine with just the dewy moisture from serums and creams! I've been using the SkinCeuticals H.A. Intensifier for about a month now and can report that my skin does have such a dewy, moisturized glow to it! Especially if I apply it before bed. The H.A. 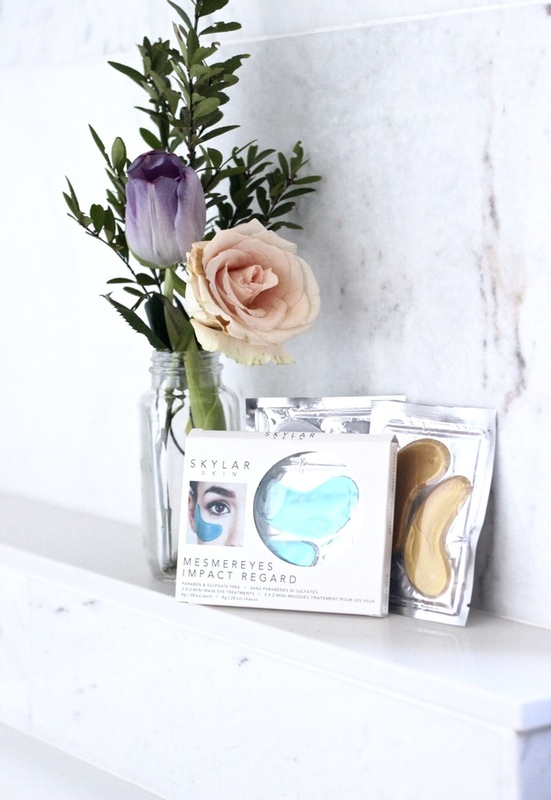 Intensifier increases the appearance of refreshed and hydrated skin, and it makes it feel so soft! It's a product you can actually see working (which can be rare)! I also used the Flawless by Friday Mesmereyes, which is a three-day eye treatment. The blue one (to be used on the first day), is all about hydration, so it's obvious that H.A. would be one of the active ingredients. Once again I found incredibly great results and the eye mask was incredibly cooling and fresh feeling (no gross residue). Dewy, hydrated and rid me of all the consequences of a late night and one too many glasses of vino. Almost as if I just had an injection! The results lasted well into the next day, too! Both products gave me great results and the effects are long-lasting. Overall, it may be temporary but since I'm not interested in getting any injections, I am totally okay with this! It's just a fact that to totally restore the skins' H.A. you need it to penetrate the skin. If you want to gain some moisture back into your face, have some wicked plump, dewy skin I would definitely try them out! Have you tried any products with Hyaluronic acid? I've posted more below that you can shop! Let me know what works for you. You can read more on H.A. here, here, and here. I was given both products to test out for review however, all opinions are my own. 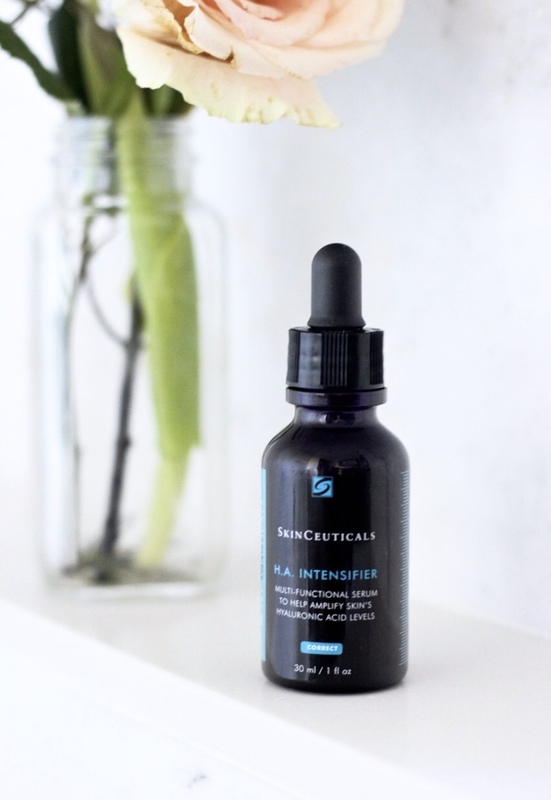 SkinCeuticals H.A. Intensifier will be available for $120 CAD in May 2017 at medi-spas and dermatologist offices nationally. This looks something I could benefit from! Going to give it a try! I LOVE Hyaluronic Acid! It's such a game changer in the winter. Have you tried the Pixi Milky Mist? My fave HA product!